Have an adventure. Witness the power of the creek harnessed to cut timber into lumber at one of the oldest industrial sites on the Upper Great Lakes. 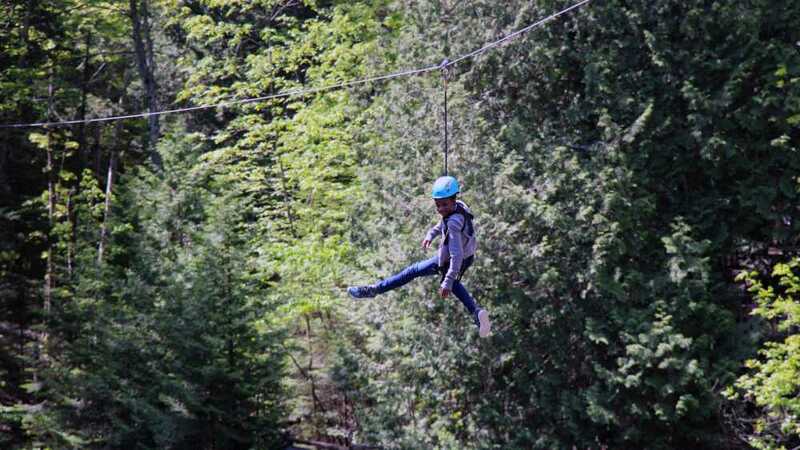 Then, explore the treetops on the Forest Canopy Bridge, soar like an eagle on the 425' Eagle's Flight Zip Line, and reach new heights on the Treetop Discovery Tower. Finally, explore the pristine northern Michigan forest at Mill Creek State Park, where more than 3 miles of groomed hiking trails await your discovery.